If your Saab 9-3 1.9TTiD is suffering from a DPF system fault, has a blocked DPF filter or is just causing problems like regenerating too frequently, we can help. We can de-activate the entire DPF system, including the regeneration cycle and remove the DPF system completely from the vehicle, including the physical removal of the filter from the exhaust with no adverse effects. For more information on DPF’s (Diesel Particulate Filters) and how they work, please check out our DPF Problems & Removals article. The Saab 9-3 Aero 1.9TTiD is a great car and pulls very nicely in 4th going 50-60mph but we find it is quite restrictive in the higher gears and a lot of this is down to the large Diesel Particulate Filter which sits in the exhaust. The extra back-pressure produced by this filter means the engine has to work a lot harder to push the gasses through the filter to exit the exhaust and in turn requires more power – what does this mean for you? Poor fuel economy. In addition to this, the filter works to trap particulate soot matter and then burn off the soot via a process called “Regeneration”. For this process to be successful, the vehicle needs to be driven on a long motorway journey, typically 20-30 miles at a constant speed of above 40-50mph in 4th gear. – If you haven’t any other reason to be making these journeys, then this is time, effort and fuel wasted just to keep the car running without problems and even then there is no real guarantees that this will always work. Whilst regenerating the engine ECU will request more diesel to be squirted into the engine “Post-Cycle Injection” to help increase the EGT’s (Exhaust Gas Temperatures) and by doing so the increased temperatures in the exhaust will (or should) aid a successful regeneration by burning off the trapped soot before it exits out of the exhaust and into the atmosphere. – What does this mean for you? Poor fuel economy, because the engine ECU is squirting more diesel to aid the regeneration cycle and any un-burnt diesel will wash down into your engine oil in the sump, which in turn will contaminate the oil, raise oil levels and require more frequent oil changes. It’s all very technical and in fact unnecessary because modern diesels are efficient enough already to comply with the lower emissions standard which they were aiming for – and with a bit of tweaking, we’re able to bring your vehicle to comply to the factory standards emissions for that specific model, without having a DPF – that’s right, even after the DPF is removed the emissions will not be increased. This is great news for everyone because come MOT time, there won’t be any problems at all. Dealerships are now taking a liking to this method and many have now manufactured newer diesel cars (2012+) without the DPF fitted from factory but offered it as an optional upgrade. An example of this is the 2012 Audi A5 3.0TDi and the 2012 Mitsubishi Shogun 3.2D. I have DPF Problems with my Saab 9-3 Aero 1.9TTiD – So what are my options? If you’re experiencing any kind of DPF related problems with your Saab 9-3 then there are a few options out there but it’s best we go through each of them so that you can familiarize yourself with them and make an educated decision based on real facts as most have drawbacks as well as benefits. 1. Forced Regeneration – One of the most common options offered to customers is a “Forced Regeneration” typically by an auto-electrician or even a main dealership. This is when the vehicle is unable to regenerate itself any further and the technician has to plug in a diagnostic machine to tell the car to regenerate. In most cases this will work and get you out of trouble (temporarily) and at a cost of £60-150 depending on where you go to get this done. If this process was successful then the vehicle will return to normal driving mode and all power will come back and any lights or warning messages on the dashboard will go out. However, this is a temporary fix to an on-going problem and can in fact cause further damage. When carrying out a forced regeneration, temperatures will exceed 800 degrees celcius and to forcefully burn the particulate soot trapped inside the Diesel Particulate Filter but by doing so it will also damage the self-cleaning elements that aid the regeneration of the filter – What does this mean? You can expect the filter to block up quicker and quicker after each Forced Regeneration. 2. DPF Cleaning Session (Additives) – Some garages will offer to clean the DPF with additives that are designed to chemically clean out any soot from a blocked DPF filter. This option does work but it can cost anything from £150-250 and there is no guarantee. It is a temporary fix but likely to cause further damage to the filter which in turn will cause it to block up quicker than before. The chemicals used to clean the filter can actually destroy the self-cleaning elements of the filter and that’s why they block up even quicker – because the filter is then unable to regenerate whilst driving. Furthermore we find that DPF’s that have been chemically cleaned begin to erode on the face of the filter and there is a high risk that if any eroded particles become loose and come away from the filter, they can be sucked back up into the turbo and cause turbo failure – which can become even more expensive to repair. 3. DPF Replacement (Copy / Pattern Parts) – Copy DPF’s, also known as pattern parts are being sold widely on ebaY and even by many parts suppliers across the country at very cheap prices – some as little as £150! This seems like a great deal when you compare this to the cost of a genuine new filter which costs £1000+. So why is the copy part so cheap? Because manufacturers of these copy filters do not dip the filter in precious metals and a certain precious metal is not used during the manufacturing process. That particular metal is required to carry out a successful regeneration. Most people fall into the trap of buying a cheap copy DPF and then find they’re soon enough back to square one with the problems continuing and 60% of our customers come to us after already having spent £300+. Engine ECU to switch off the DPF system completely. We also de-activate all regeneration processes and carry out a smoke-correction service to ensure the vehicle will continue to pass its MOT. This is a permanent solution with a Lifetime guarantee that you will not experience any future DPF-Related problems. So if you have a Saab 9-3 with a DPF problem and want a permanent yet affordable solution with no restrictions, no drawbacks and no downsides then contact us for a quote by calling us today on 0844 847 9999 or alternatively send us an email. We operate a nationwide service and have agents across the UK, so wherever you are – we can help. Tags : 9-3 Aero DPF, 9-3 Aero DPF Problems, 9-3 Aero DPF Removals, 9-3 Aero DPF Repairs, 9-3 Aero DPF’s, Help With Saab 9-3 Aero 1.9TTiD DPF Problems, How To Remove Saab 9-3 Aero 1.9TTiD DPF, P2002 DPF Failure - Best Solution From Sinspeed, P2002 Fault Code Solution For9-3 Aero By sinspeed, Removing Saab 9-3 Aero 1.9TTiD DPF, Removing9-3 Aero DPF, Replacement DPF For Saab 9-3 Aero 1.9TTiD, Saab 9-3 Aero 1.9TTiD De-DPF, Saab 9-3 Aero 1.9TTiD DPF Failure Help, Saab 9-3 Aero 1.9TTiD DPF Fix, Saab 9-3 Aero 1.9TTiD DPF Fixed, Saab 9-3 Aero 1.9TTiD DPF Help, Saab 9-3 Aero 1.9TTiD DPF Off, Saab 9-3 Aero 1.9TTiD DPF Problems, Saab 9-3 Aero 1.9TTiD DPF Regen, Saab 9-3 Aero 1.9TTiD DPF Regeneration, Saab 9-3 Aero 1.9TTiD DPF Removal Mot, Saab 9-3 Aero 1.9TTiD DPF Removal Procedure, Saab 9-3 Aero 1.9TTiD DPF Removal Remap, Saab 9-3 Aero 1.9TTiD DPF Removal Session, Saab 9-3 Aero 1.9TTiD DPF Removal Solution, Saab 9-3 Aero 1.9TTiD DPF Solution, Saab 9-3 Aero 1.9TTiD DPF Solutions, Saab 9-3 Aero 1.9TTiD P2002 Fault Code Fixed By Sinspeed. 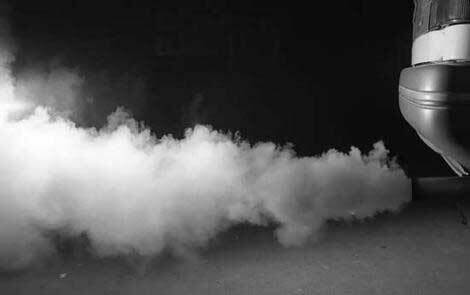 There are many reasons you would see black smoke but the DPF removal itself, if done correctly should not cause the vehicle to smoke. The problem will need to be thoroughly investigated to find the root cause of the black smoke and then rectified. We have sent you an email with some information and pricing for our services. He drained over 2 litres of from sump . 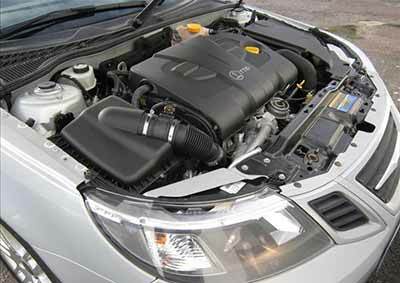 This is a common problem with the Saab 9-3 1.9TDi. I have sent you an email with full information and pricing. 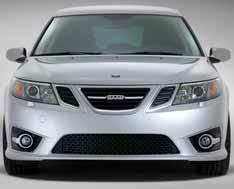 Hi, my saab 93 tid 1.9 2007 runs very well with no lack of power. The problem is that it seems to regenerate too often, at least i assume that it is regenerating. After say a 30 mile run it will smoke for a while then stop smoking.The smoke really smells bad. the car is not using oil or water, and the oil is very clean.. The car has only covered 65000 miles. what do you think. It does sound like the DPF is regenerating. We offer DPF Removal, Cleaning and Replacement options on this vehicle. I have sent you an email, kindly respond with your postal code for a customised quotation. I am having the same issues can you help?